It is perhaps the most fragrant of all flowers. It makes a popular and sought after perfume. Many say its beauty is second only to the rose, and more than a few people see it as better than roses. 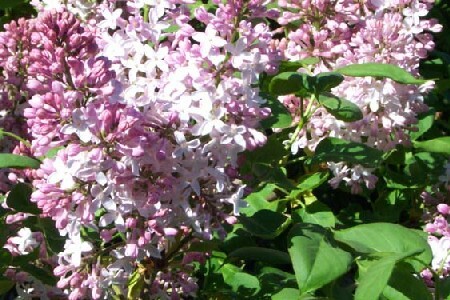 So, it is only fitting that people around the world honor this beautiful flower on Lilac Sunday. Lilc bushes are native to cool mountainous hillside areas, from southern Europe to Asia. Lilacs were introduced into the United States in the 1750's. Their popularity quickly soared. Lilac Sunday is celebrated with hugely popular springtime festivals and special events. Annual Lilac festivals have been held for over a hundred years. The oldest and biggest lilac festival of them all, is held at Highland Park in Rochester, NY. This festival has been held every year since1905. The 10 day festival is centered around the world's largest collection of lilac bushes, attracting over 500,000 visitors annually. The Arnold Arboretum at Harvard University in Boston, Ma. is also world known for its annual Lilac festival, held every year since 1908. Celebrate Lilac Sunday by attending a Lilac festival near you, or just strolling in a park among a the blooming lilac bushes. Lilac Sunday is celebrated on the same day as Mother's Day. Was this out of design, or coincidence? The date of Lilac Sunday is established to ideally occur when the flowers are in full bloom. Lilac Sunday used to be the third Sunday of May. Over several decades, spring has come earlier and earlier, the effects of global warming perhaps? Now it is celebrated the second Sunday of the month. Even by moving the date up, Mother Nature does not always deliver on schedule. Sometimes, the lilacs hit their peak before or after the second Sunday in May. Flower of the Day: Lilacs, of Course!